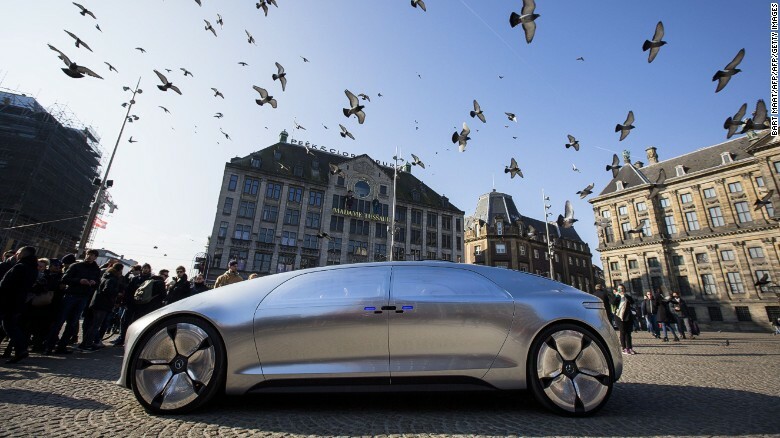 A futuristic ride in Mercedes’ self-driving car – Coercion Code – "Dark Times are upon us"
(CNN) We’re all used to seeing “concept cars” — those bits of automotive frippery that manufacturers trot out at motor shows every few months. Generally, they’re either design tinsel that will never see the light of day, or previews of cars that will soon appear in showrooms. 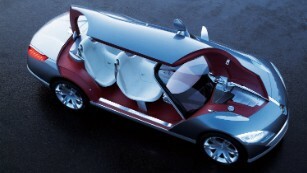 And then there’s the Mercedes-Benz F 015 Luxury in Motion. Catchy name aside, this odd-looking creation has had such a varied life that its maker refuses to call it a “concept.” It’s a research project instead, hence the name (the ‘F’ is a German prefix denoting ‘research vehicle’ status). 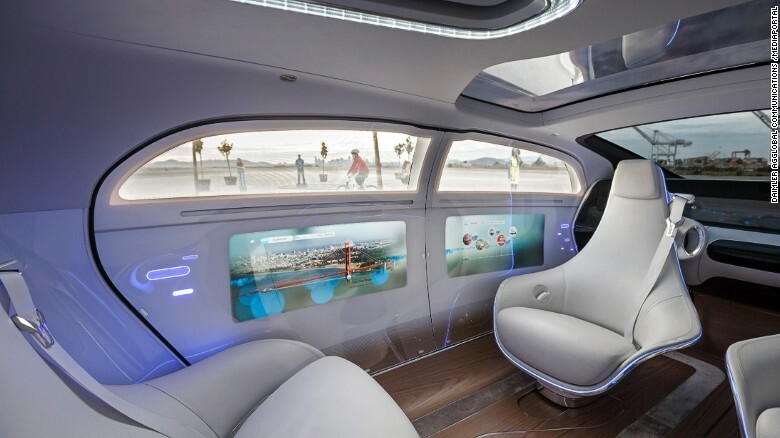 2The F 015 made its debut at the Consumer Electronics Show in Las Vegas more than two years ago. It’s packed with advanced (or what was considered advanced in 2015) autonomous technology, and can, in theory, run for almost 900 kilometers on a mixture of pure electric power and a hydrogen fuel cell. But while countless other vehicles are still trying to prove that cars can, literally, drive themselves, Merc’s offering takes this for granted. Instead, this vehicle wants us to consider what we’ll actually do while the car is driving us around. The F 015 could have done all of this as a flash-in-the-pan show car — seen at a couple of major events before vanishing without trace. But in fact it has been touring almost constantly since that Vegas debut. On the day that I managed to get up close with the car at a Mercedes facility in the UK, engineer Thomas Jaeger admitted that the F 015 had probably racked up tens of thousands of air miles. Not bad for a car that is estimated to have been driven less than 500 kilometers under its own steam (or battery, at least) during the same period. More than a quarter of a million people have now managed to get up close and interact with the F 015 during its lifetime. The key, Jaeger said, is communication. “Of course, people are keen to experience movies or games while they’re on the move,” he said. Climbing aboard the F 015, you see how it could work. The powered doors slowly open to reveal a huge aperture through which you enter the car, albeit with a significant duck of the head. 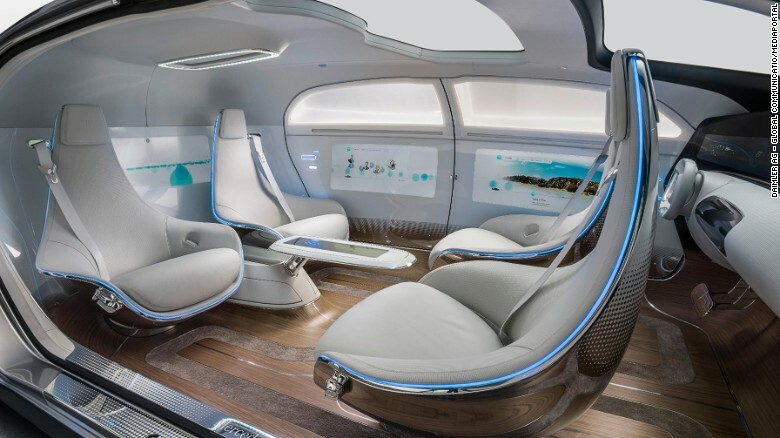 The futuristic seats aren’t particularly comfortable, but with a decent set of padded Mercedes armchairs, this environment would be a pretty pleasant. On the move, the F 015 creaks and shudders, as all one-off vehicles do. And it feels heavy. But that’s because it is — carbon fiber body panels notwithstanding, the amount of bespoke engineering and technology on board makes the car heavier than many large SUVs. When the vehicle is at rest, the only noise it produces is the constant whoosh of computer fans under the hood. There are a total of 14 processing devices on board, but only four are involved in making the car autonomous. The rest — 10 MacBook Pros, as it turns out — are dedicated to operating the user interface and throwing graphics around on the screens. Parts of this car have dated in the two-and-a-half years since its debut. The 32in touchscreens in the doors, for example, are relatively poor-contrast LCD displays, not hi-tech, ultra-crisp OLED. And the rear-projection instrument panel that wraps around the dashboard isn’t particularly clear, especially in sunlight.